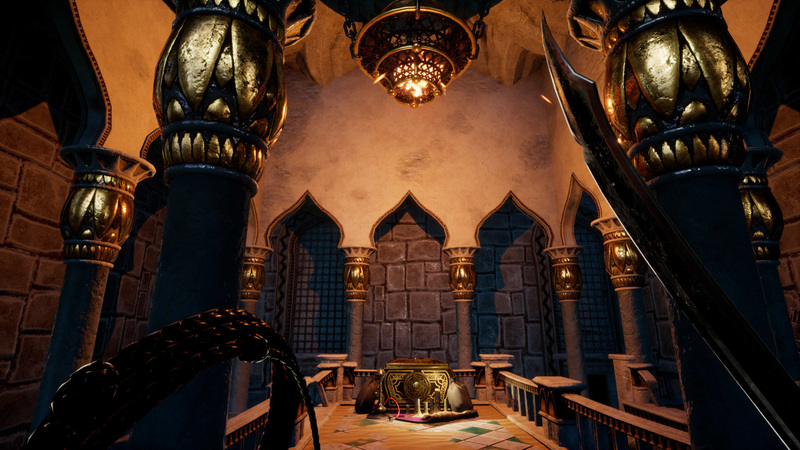 City Of Brass :: City of Brass - Enter the Catacombs - Available Now! 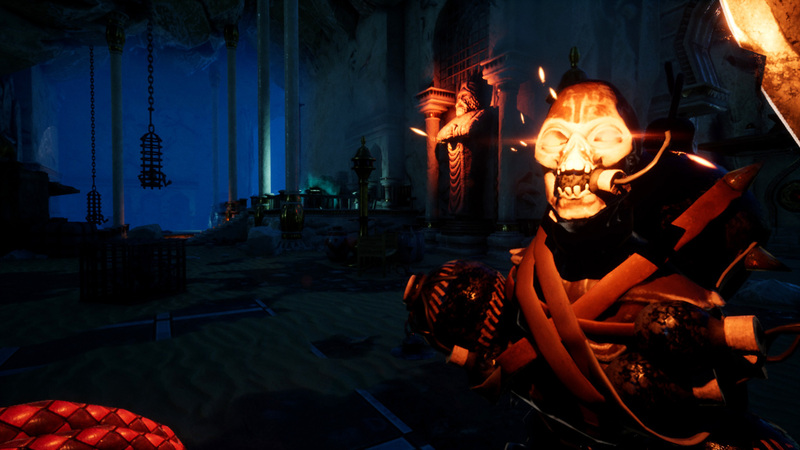 City of Brass - Enter the Catacombs - Available Now! We have been working hard since Early Access launch and we're thrilled to release our first major update. 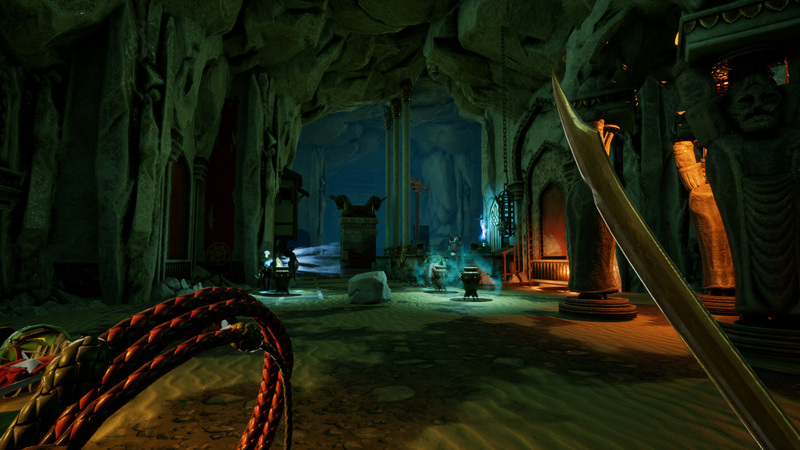 V0.2 - Enter the Catacombs. If you've survived long enough to see levels 6-9 before, your next visit will be very different. All three have been completely replaced with a unique new underground Catacombs environment, including a new, deadly trap. Spilling forth from the caverns underground are a host of devious new enemies to fight! "What Is This?" feature, opening the journal to what is under your mouse cursor. Relic Icons now feedback when they are active via an animation. New HUD Notification appears when a Divine Burden is unlocked. New HUD indicator for Movement State. Pool of Searing trap now releases splashes of burning oil when whipped. Difficulty curve now ramps up over first three levels. Increased spawning of throwable pickups … because they’re fun. Slightly slower movement speed for large enemies. Fire damage over time no longer stacks multiple times from the same source. Braziers cause small radial damage effects when destroyed. Fix tutorial ghosts messages not fading in and out. Fix cases of the same gear being given by different chests in an area. A big thanks to all the players giving us feedback, ideas and reporting bugs on the forums. Keep them coming! Fixing issue where Lantern fixtures were no longer whip-able. Damage Effects like fire, now no longer affect an AI if you hit their shield. Added extra (larger) hit boxes to pickups for whip collision. Changes to Fire Effects to (hopefully?) fix invisible fire on some players machines. I can help you @Orel. Add me and I will message you! I still can't understand how to beat new gatekeeper. Any help? Very nice first big update! Keep it up!